No Buff’n Around Pro Stripper is special blend of water-soluble solvents and surfactants that are specifically designed to emulsify multiple coats of floor finish. No Buff’n Around Pro Stripper is effective at removing as many as 10 coats of floor finish. 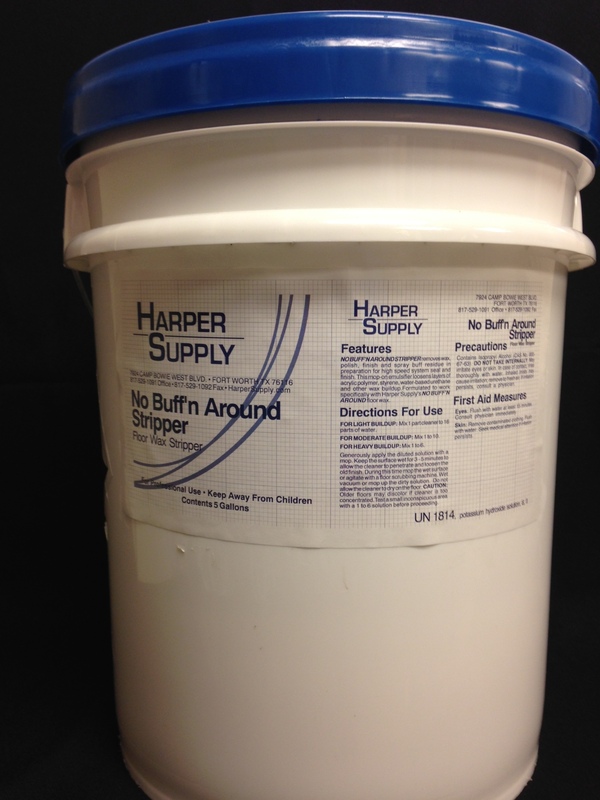 It should be used on vinyl composition tile and other floors that will not be harmed by water-based solvents. This special formula is formated so that hot water is not needed. Cold water or room temperature water is needed. This actually helps to keep the Stripper from drying out while trying to strip the floor. Most other conventional strippers have to be constantly re-wetted while stripping, causing a longer process. No Buff’n Around Pro Stripper eliminates that.